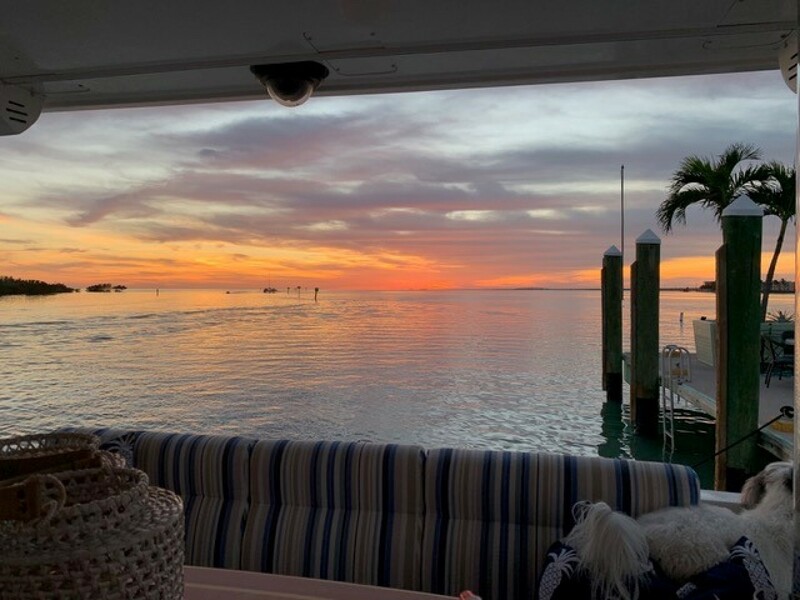 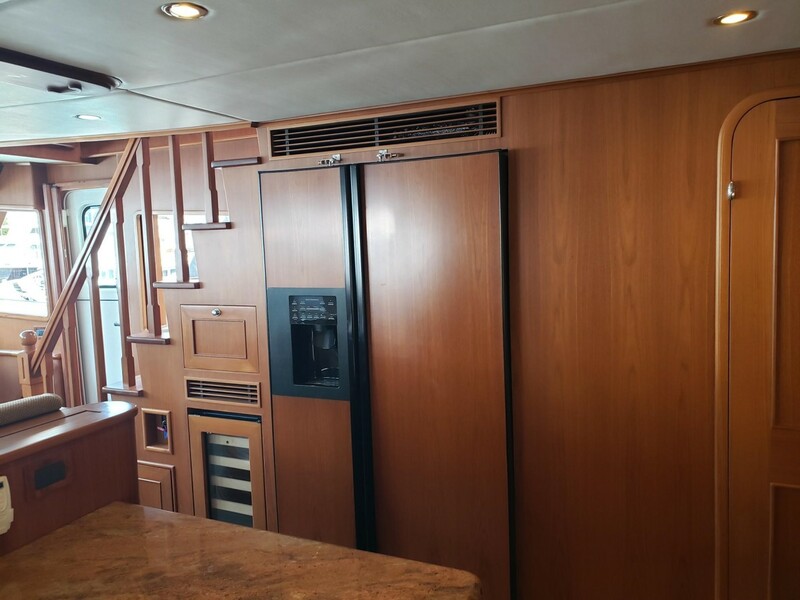 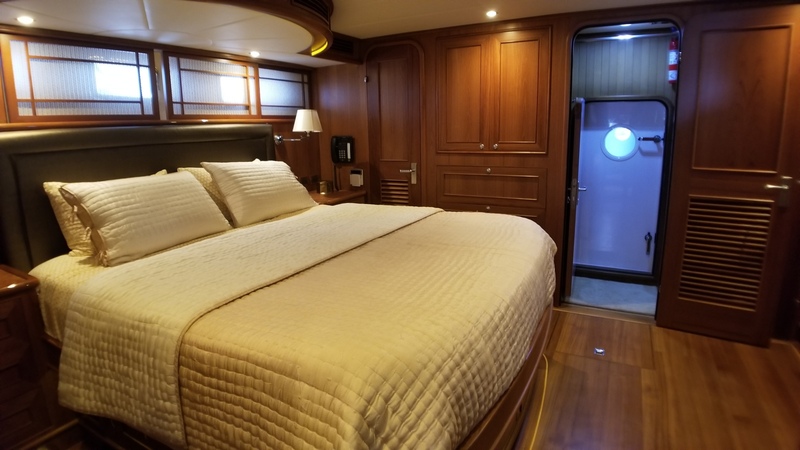 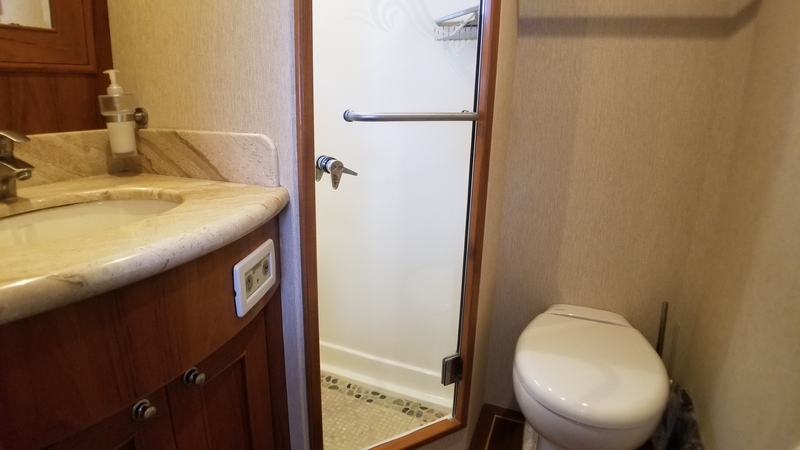 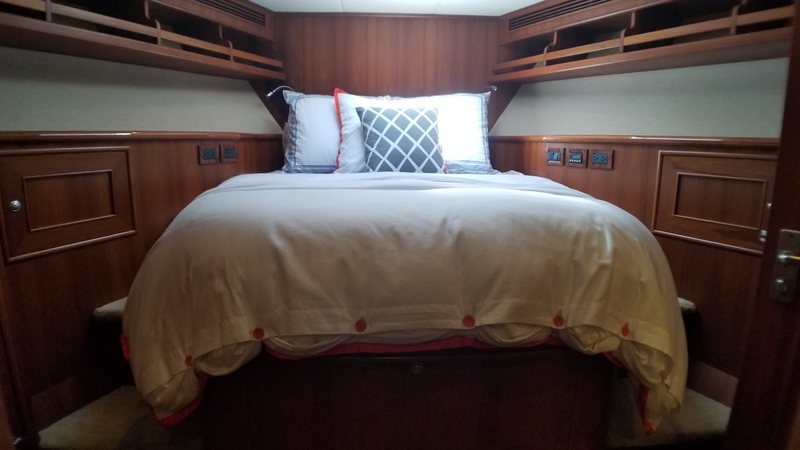 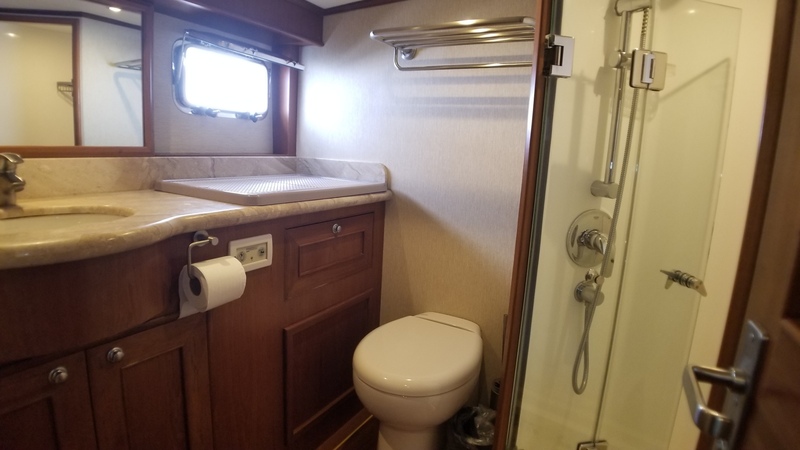 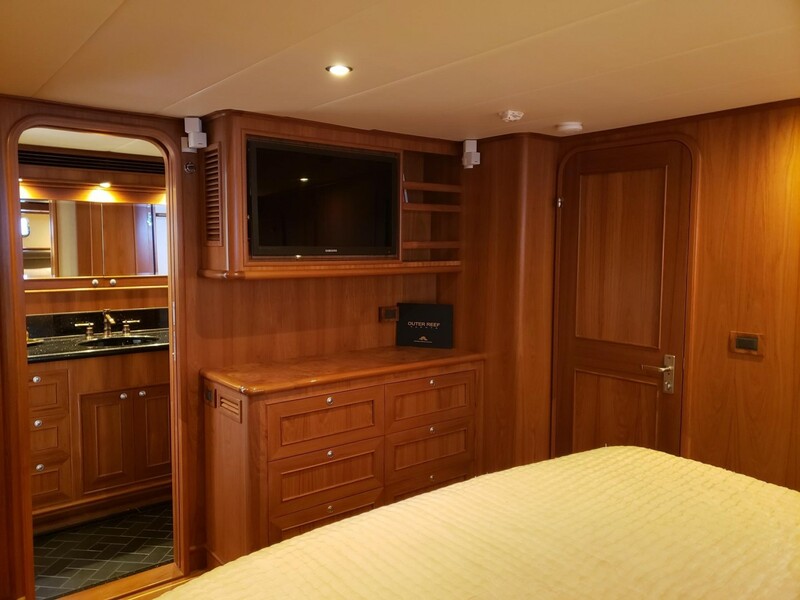 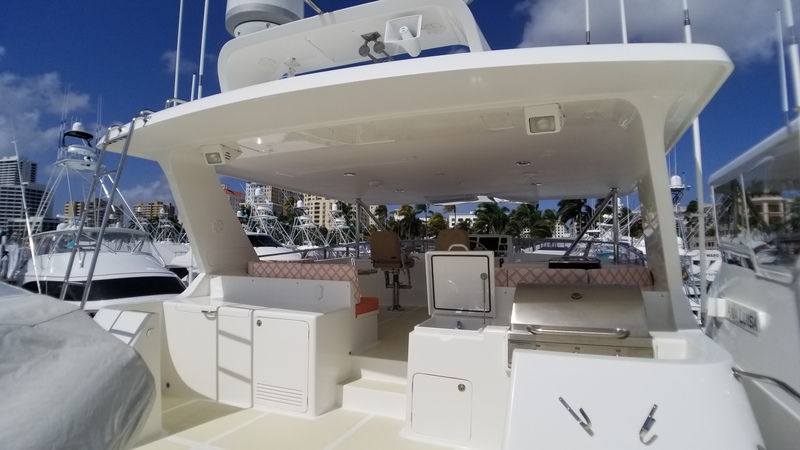 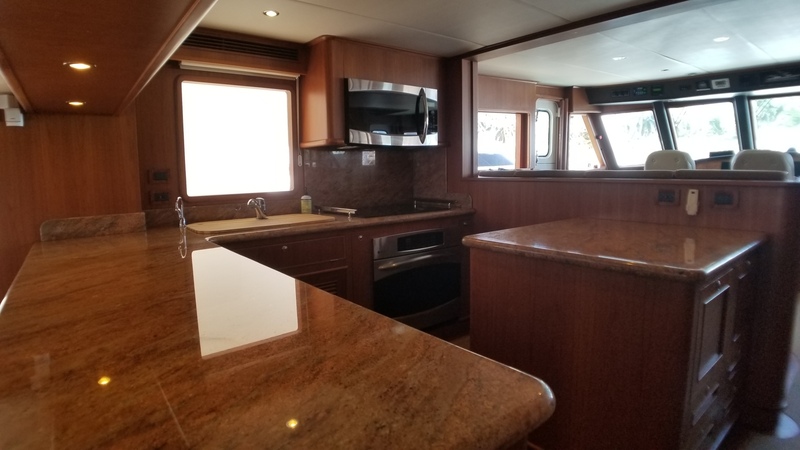 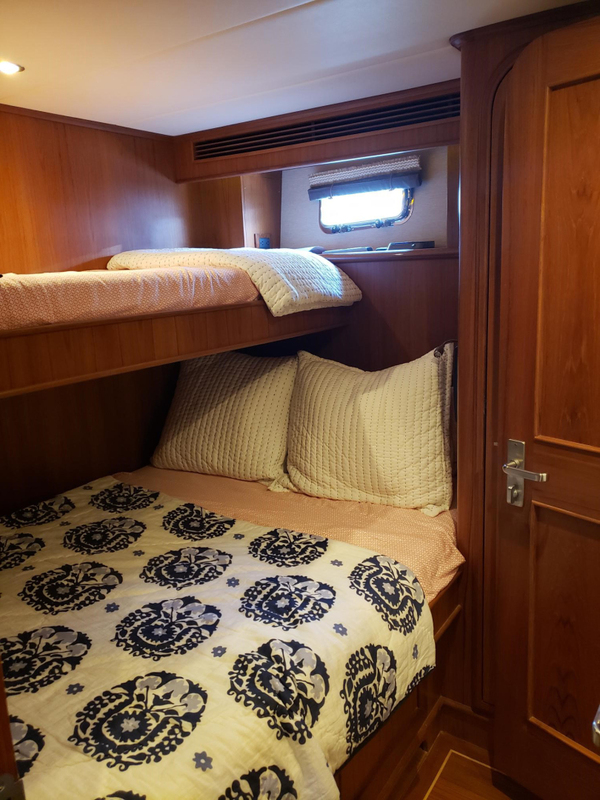 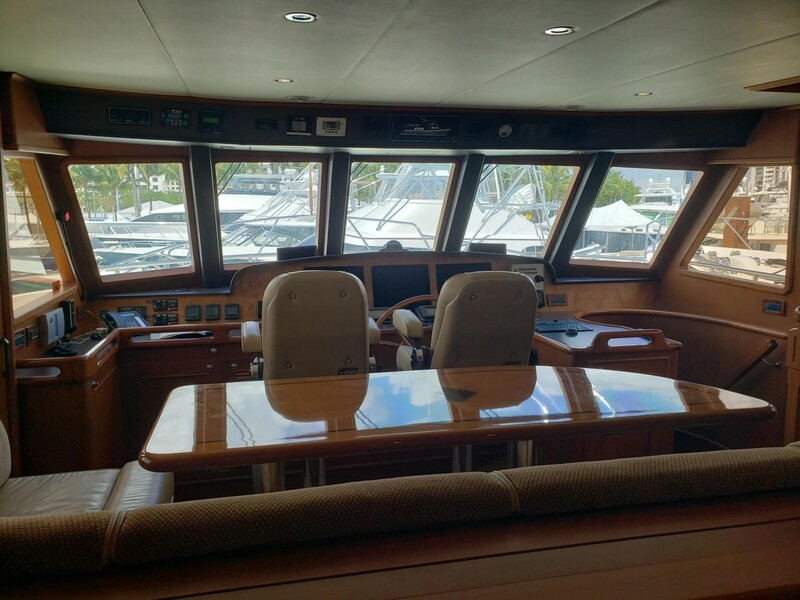 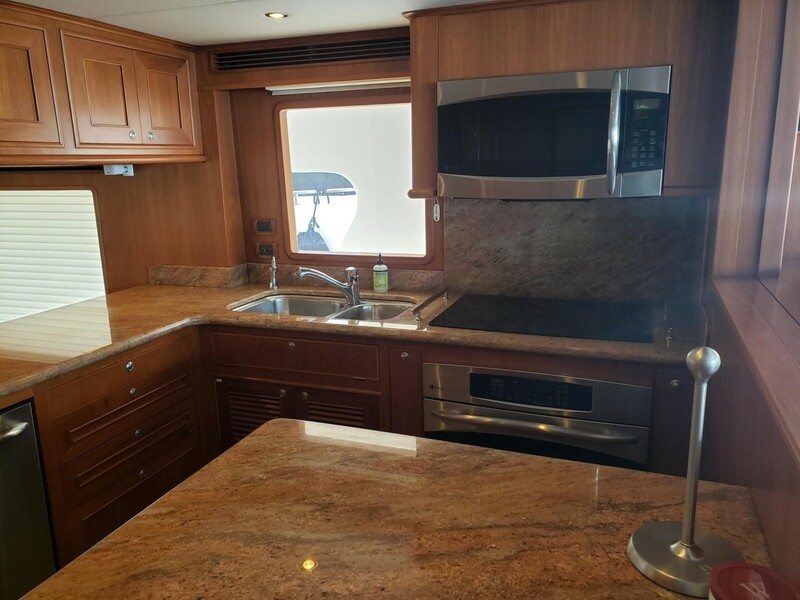 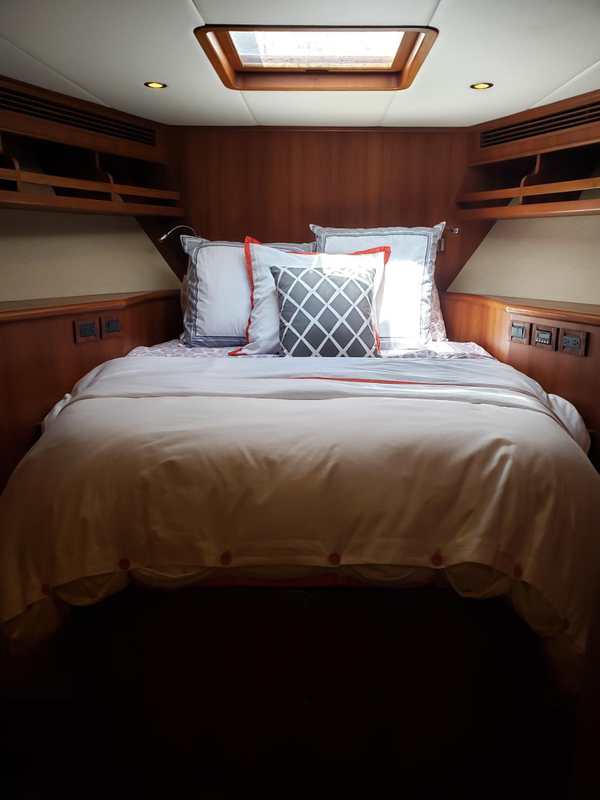 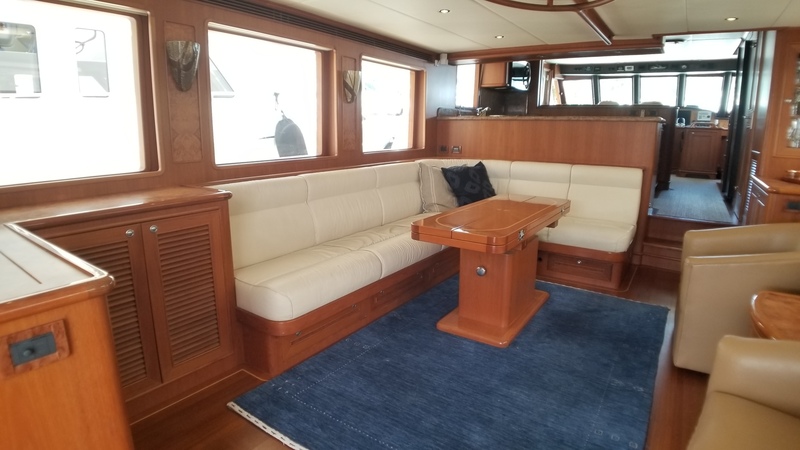 AUGUST MOON was originally built for two experienced boat owners with the expert guidance from the Outer Reef Yachts staff. 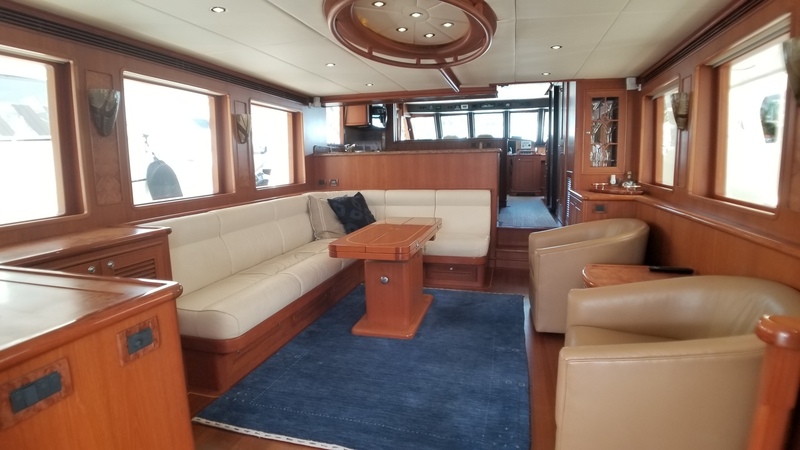 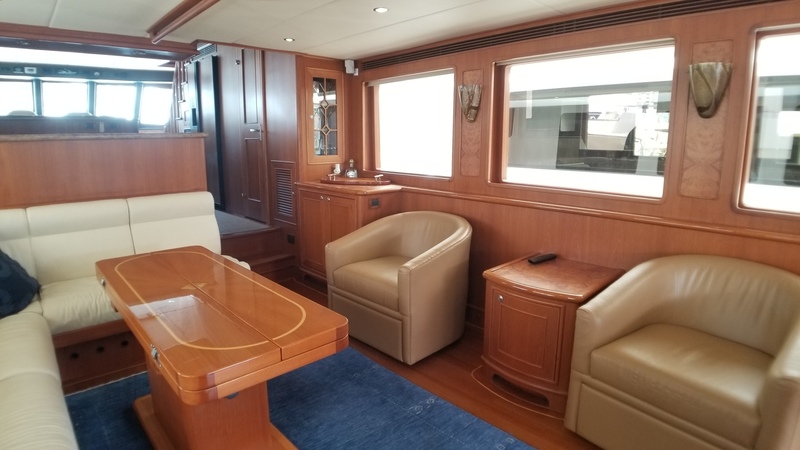 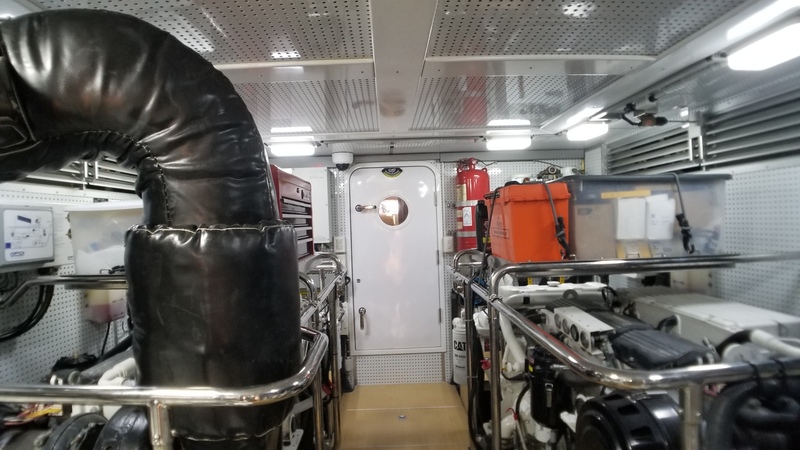 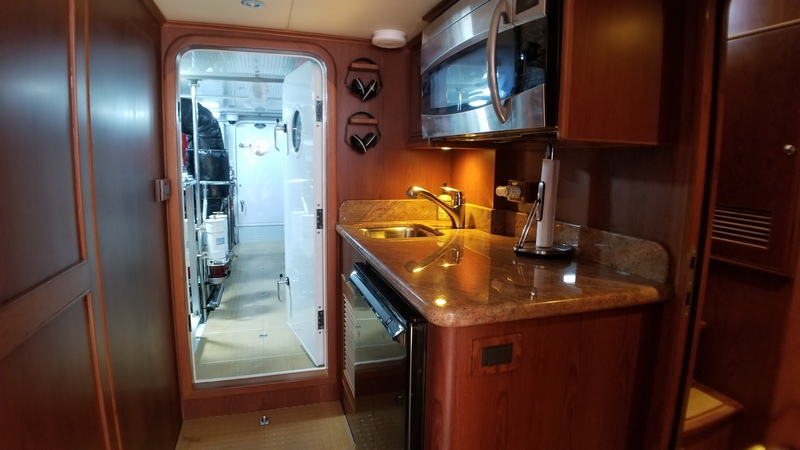 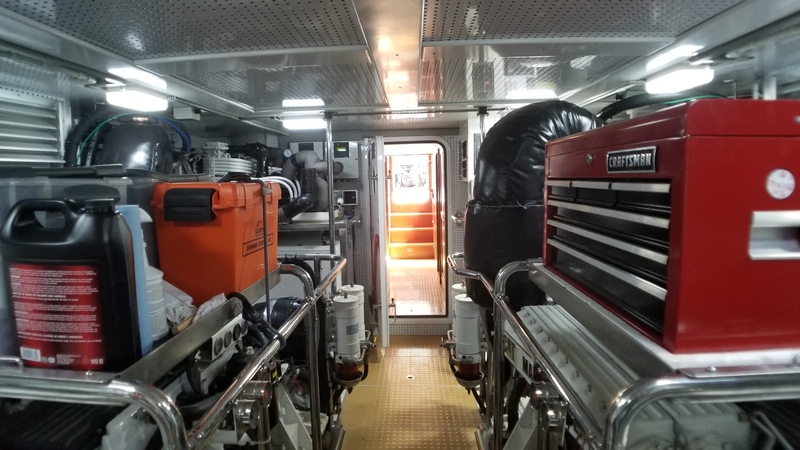 As with all Outer Reef Yachts, AUGUST MOON was built for safe, comfortable, and reliable long range, offshore cruising, with an abundant spare parts list. 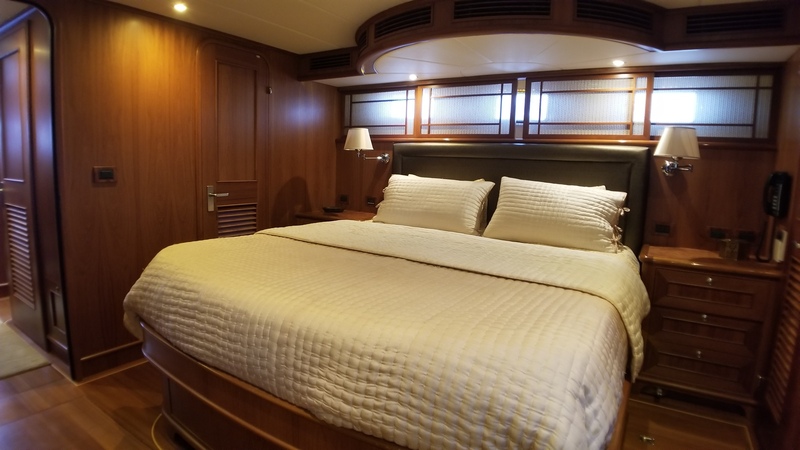 AUGUST MOON is part of the very successful 700 series from Outer Reef. 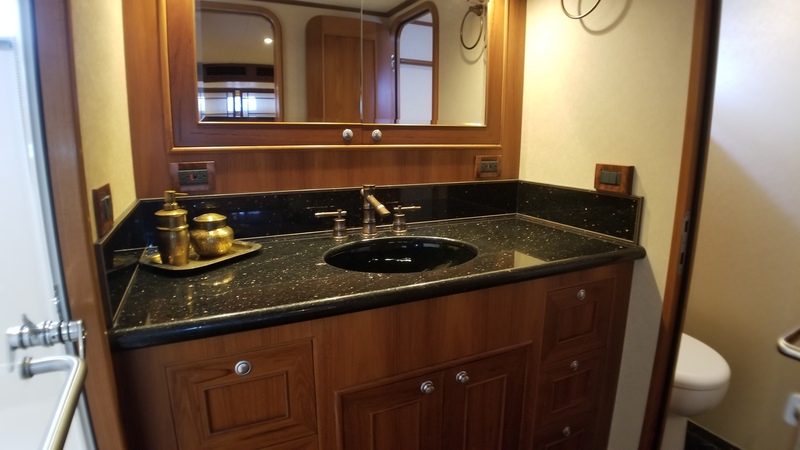 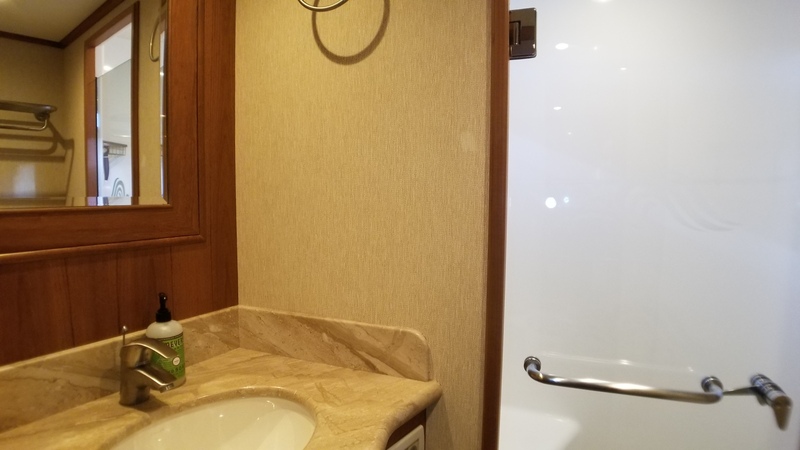 The 700 Motoryacht has become a favorite for the owner operator and has won “Best Passagemaker” in her class. 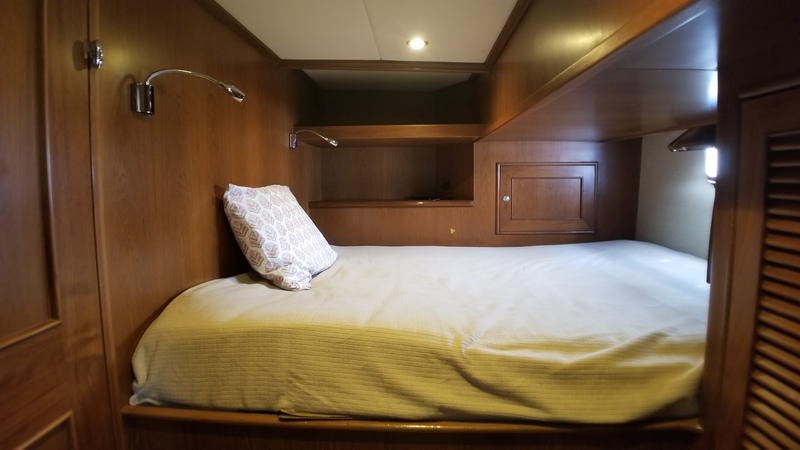 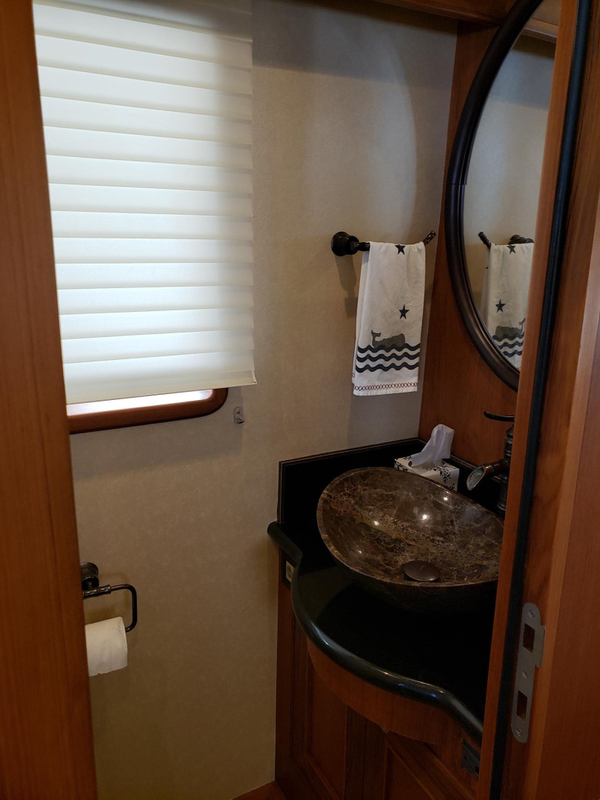 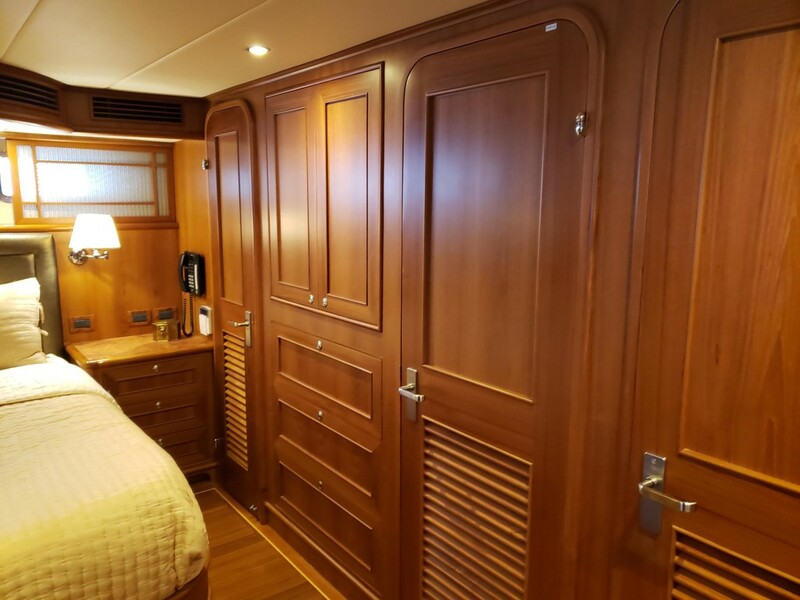 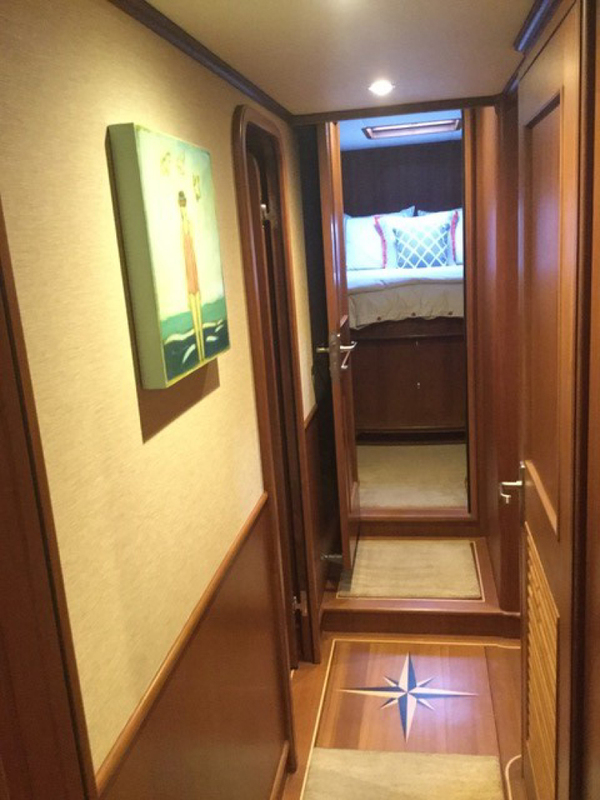 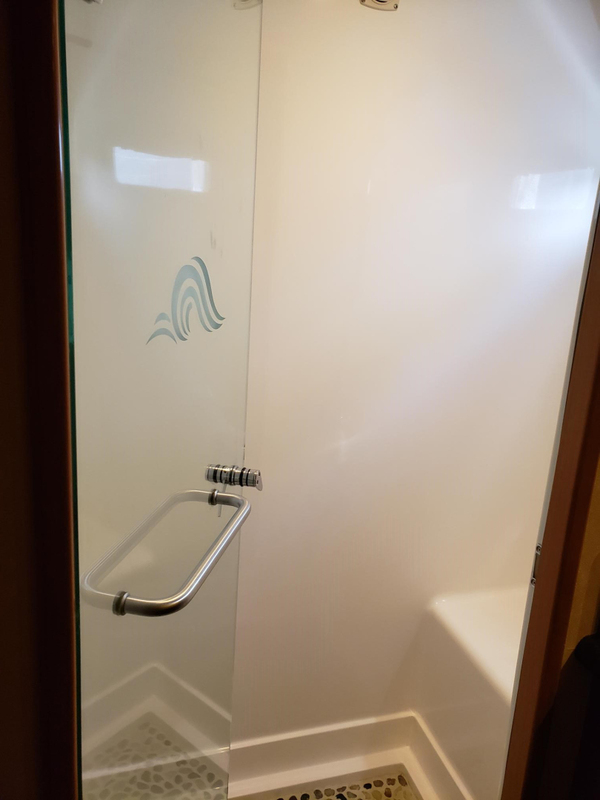 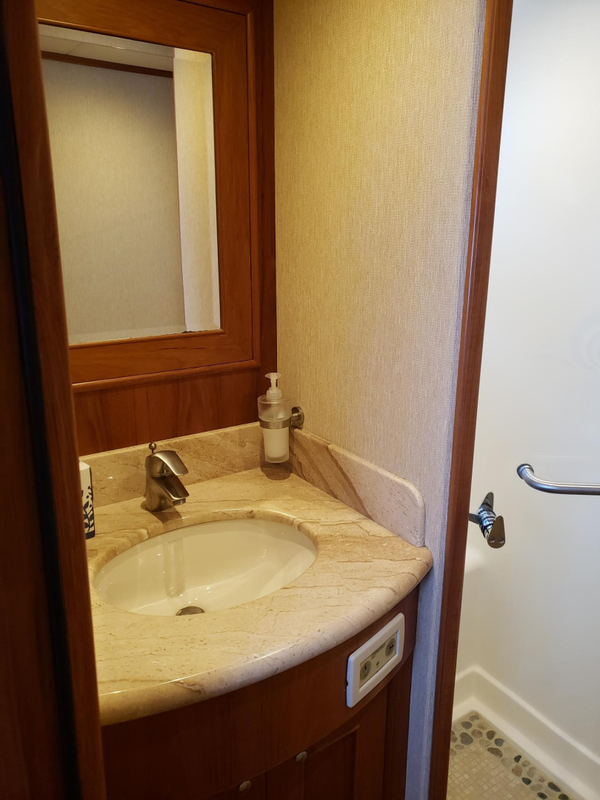 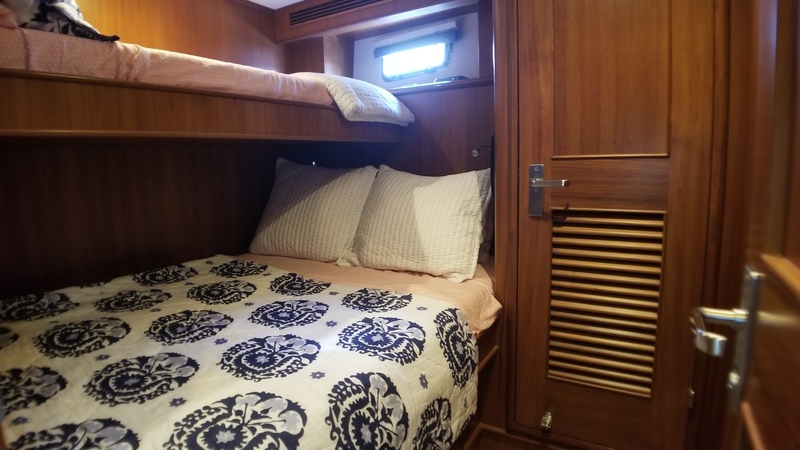 She has three staterooms, each with head and shower, and a crew quarters with separate access from the salon. 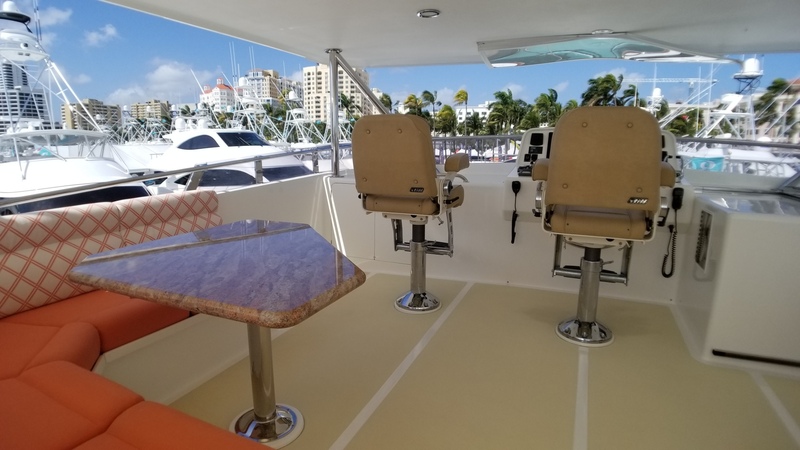 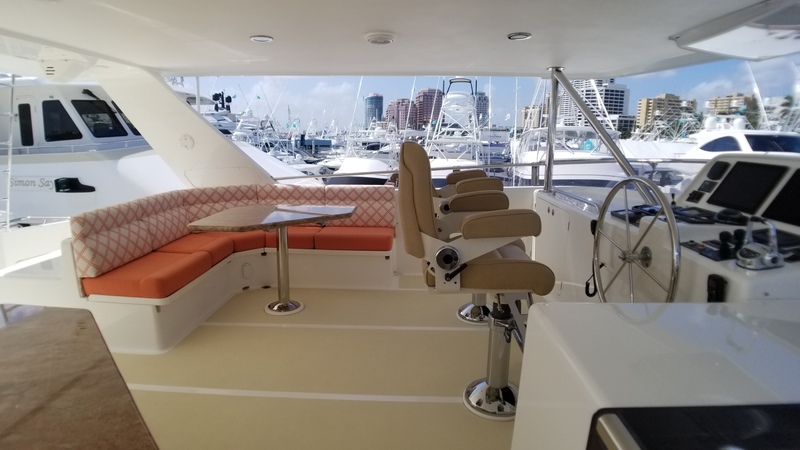 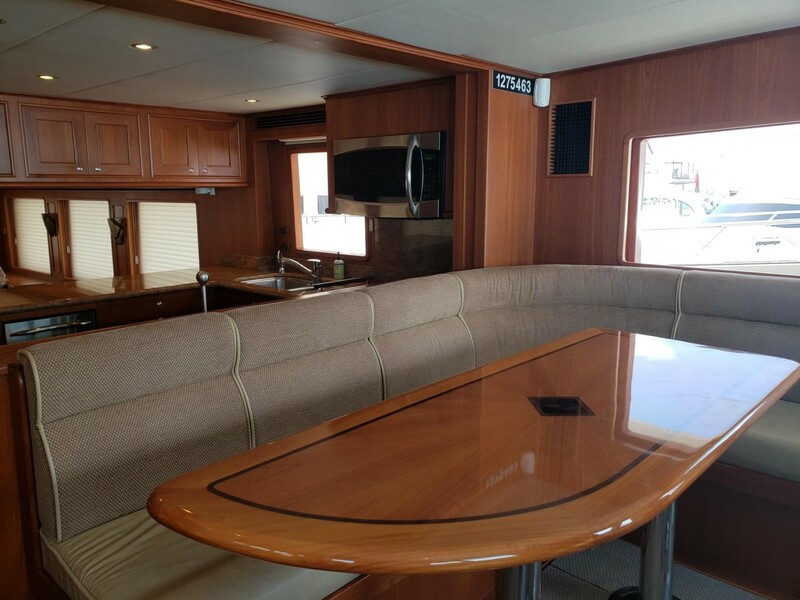 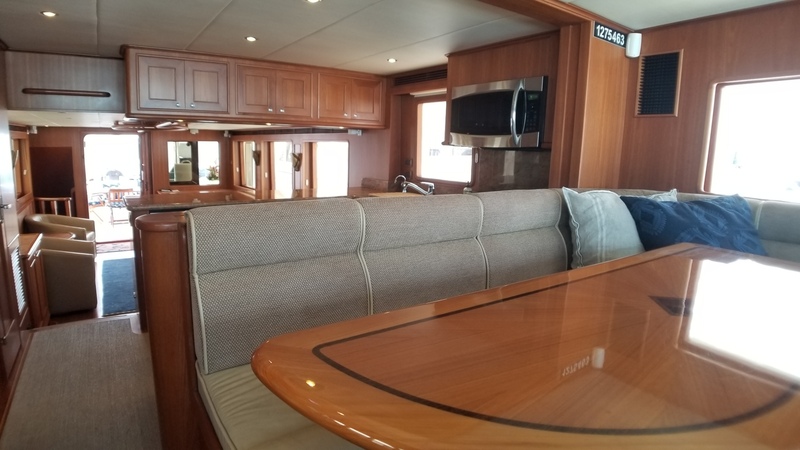 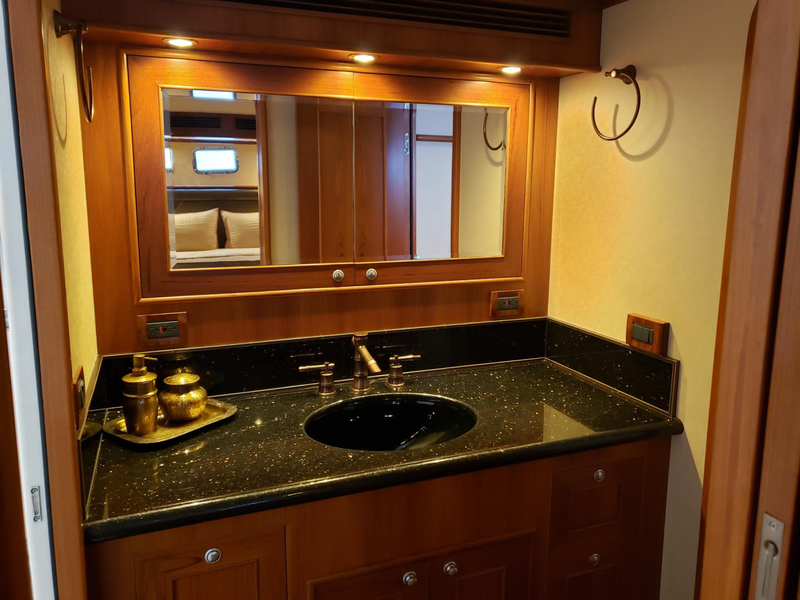 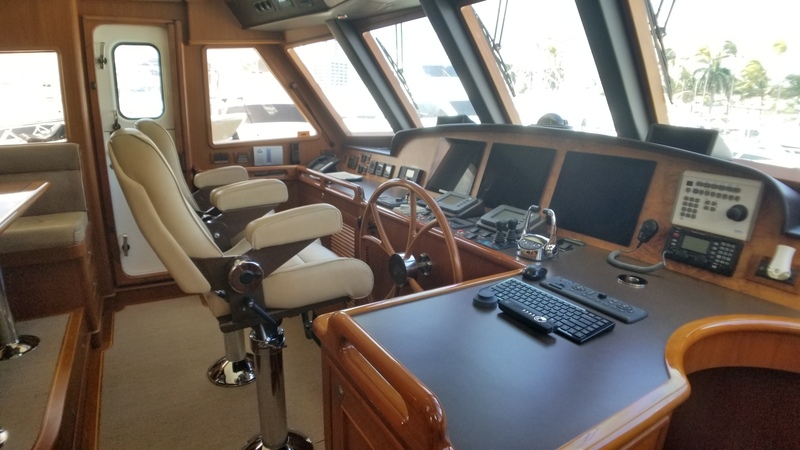 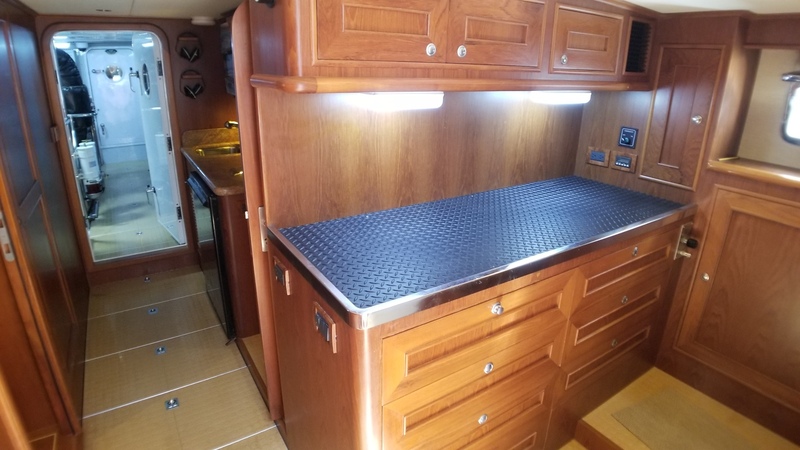 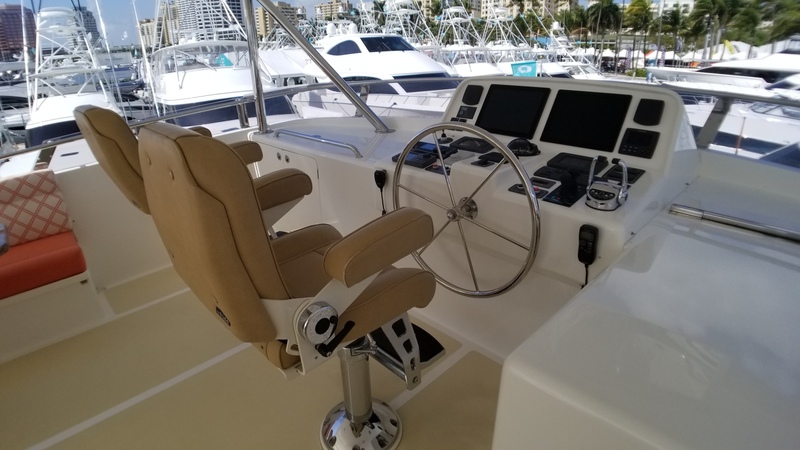 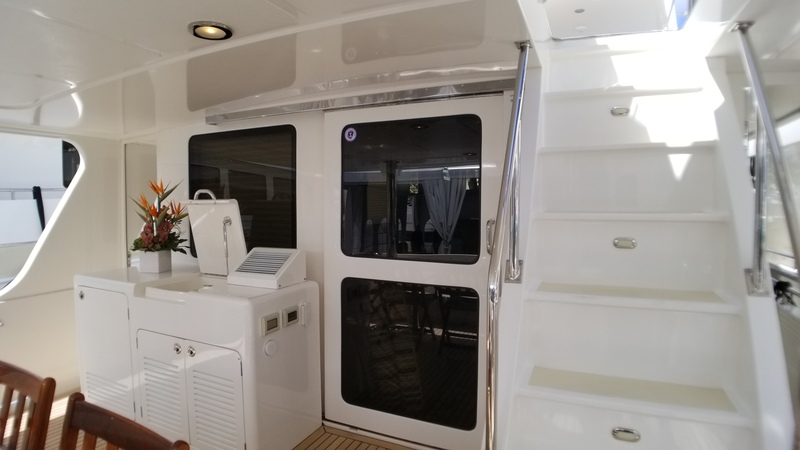 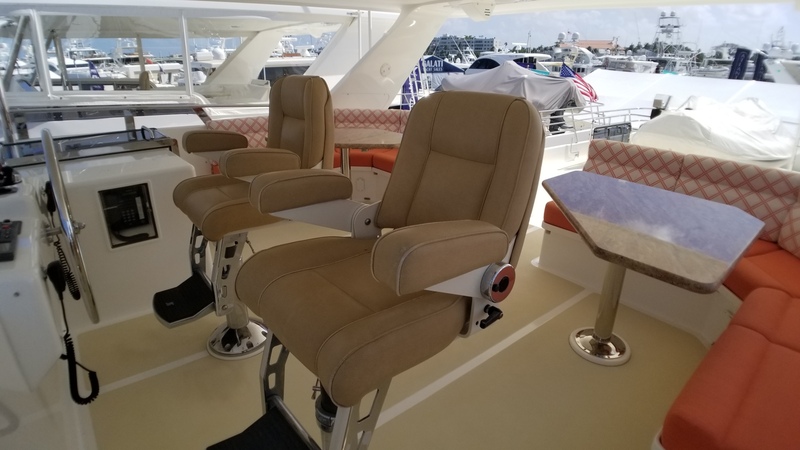 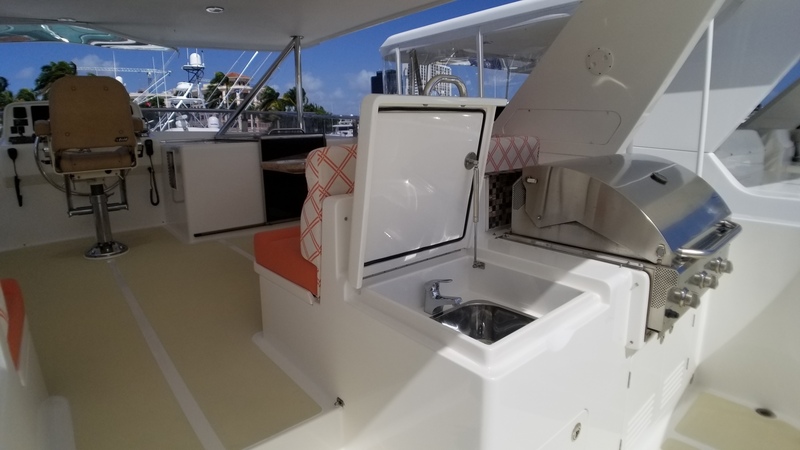 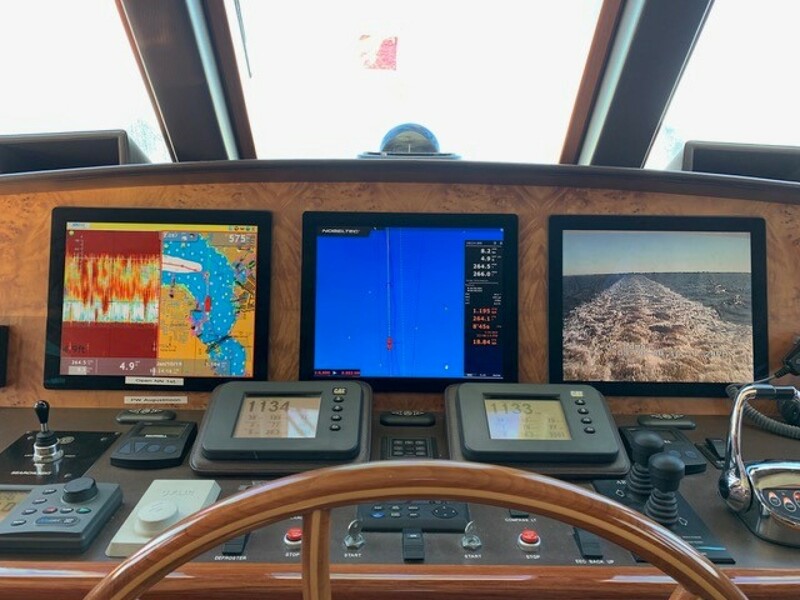 The massive flybridge features spacious seating with great helm visibility. 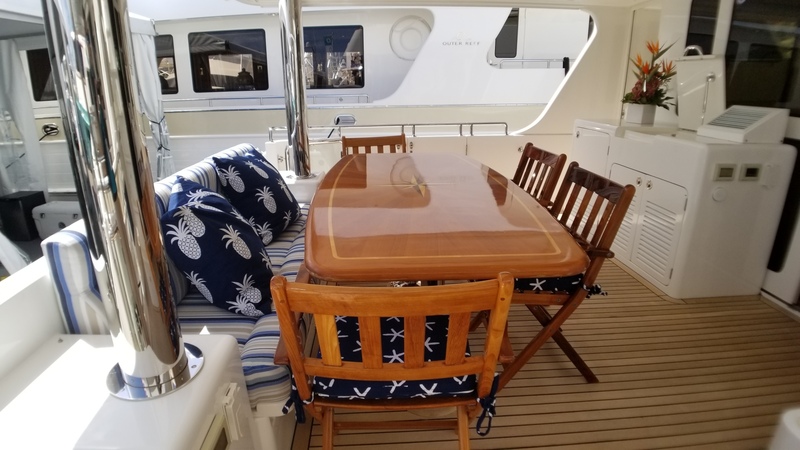 Anchor chains - (2) 300' @ 1/2" and 350' @ 5/8"
Stainless steel railing on main deck 36"
Swim platform extended by 12"